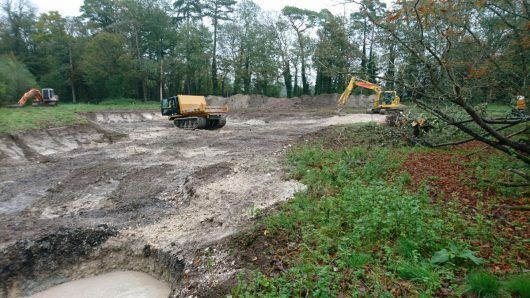 The estate extracted an estimated 5,500 tonnes of gravel from a site close to the upper and middle sections of ‘House beat’. 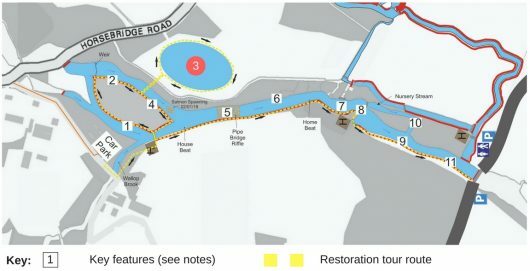 This enabled a full-scale bed raising and channel re-meandering exercise over 800m of main river Test plus the restoration of a 200m salmonid-spawning and nursery side stream. 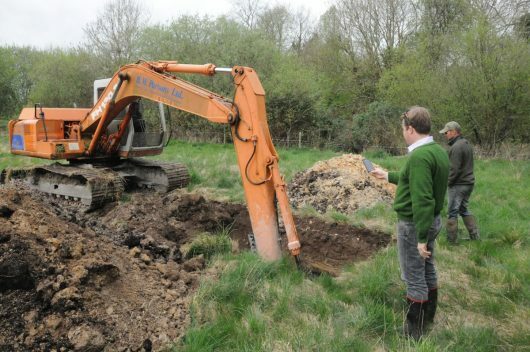 Photo 14 – Having access to high-quality floodplain gravel close to point of use is the holy grail of chalk stream restoration. 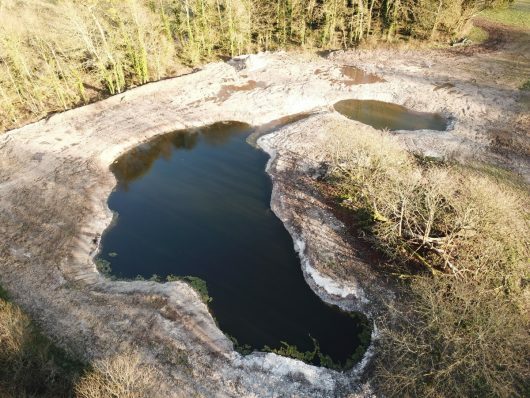 Photo 15 & 16 – A small parcel of gravel-bearing land adjacent to the upper and middle House beats was identified through geological mapping as the preferential site for extraction. 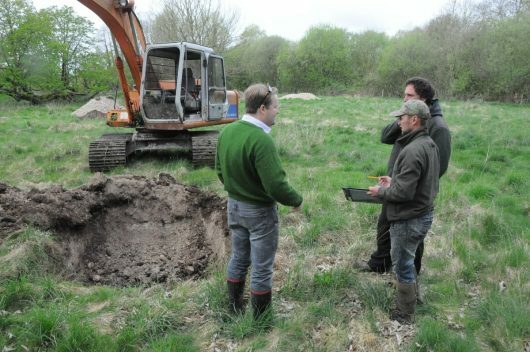 Photos 17 & 18 Several trial pits were dug to establish the presence and feasibility of extracting gravel. 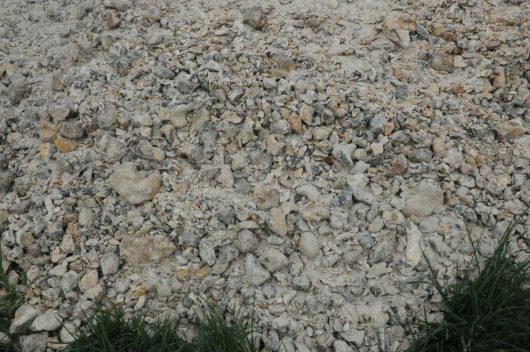 During – The deep seam of gravel was extracted by a 13t machine sitting on the upper surface of the seam and working back over the excavated area and down to a depth of 5metres. 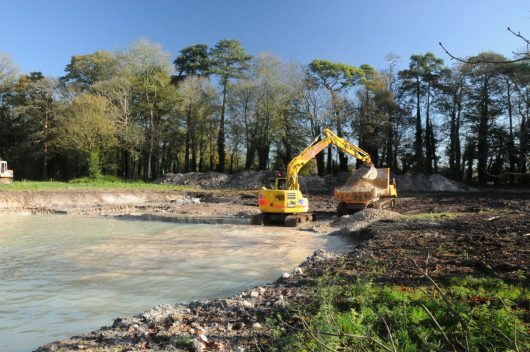 Gravel was washed in situ and loaded onto 10 tonne dumpers for transport across temporary pipe bridges, to point of use. 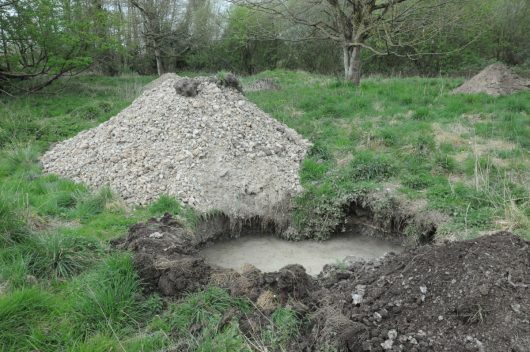 Photos 19 & 20 – Gravel was located approximately 1m to 1.5m below vegetation level. 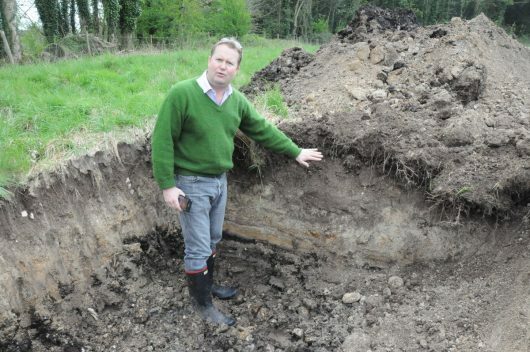 The overlying top soil and sub soil layers were graded off and stored in a bund seen rear of image. 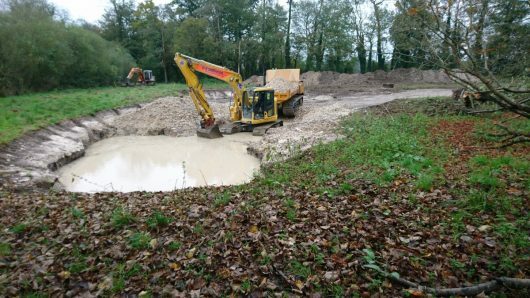 Photos 21 & 22 – The thick gravel seam was extracted using a 13t machine set back on the upper surface of the seam and working back over the excavated area and down to a depth of 5 metres. Gravel was washed in situ and loaded onto 10 tonne dumpers for transport across two temporary pipe bridges, to point of use. 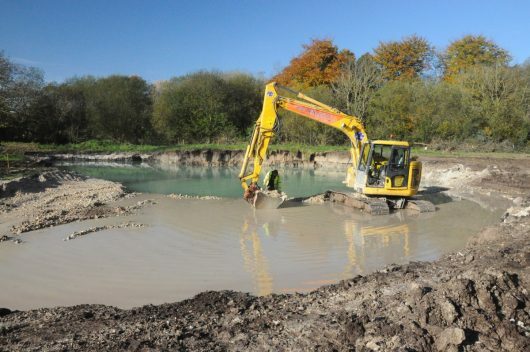 Photo 23 – On completion the gravel pit was sculpted into an attractive still-water floodplain feature with a shallower inter-connected marginal wetland pond favourable to amphibians and Southern Damsel fly.